The Exploring the Old Testament (as well as Exploring the New Testament) Series, has similar goals to the “Encountering Biblical Study Series” (see my review here on Encountering the Book of Genesis), and the “Teach the Text Series” (see my review here on 1&2 Samuel in the Teach the Text Series). Each of these series focuses on providing the beginning Bible student with an overview of a certain book or certain portion of Scripture. The goal is to introduce the reader to the main teachings and issues involved. The biggest difference with the Exploring the Old Testament Series is that it focuses on larger blocks of Scripture (The Pentateuch, the Historical Books, etc.). 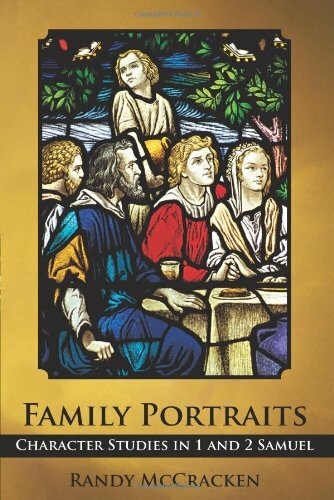 The author of this volume, Gordon Wenham is Senior Professor of Old Testament Emeritus at the University of Gloucestershire and is currently lecturing at Trinity College, Bristol. 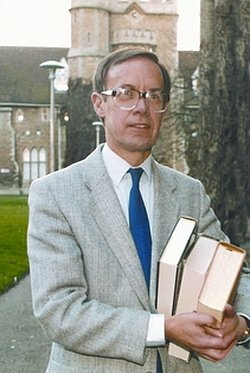 Ever since his commentary on Leviticus in the New International Commentary Series published in the late 70s, Wenham has been a favorite author and commentator of mine. You can always expect to learn something new. His books are always insightful and clearly written. For a book with only 199 pages of text, Wenham covers a lot of territory and packs in a lot of information! There are 11 chapters (including a 1 page “Epilogue”). Chapter 1 begins by asking, “What is the Pentateuch? Basic Features.” Wenham discusses the name, the genre, why there are 5 books, and other introductory questions. Chapters 2-7 present an overview of Genesis, Exodus, Leviticus, Numbers, and Deuteronomy. Each chapter looks at particular issues and problems related to each book, and gives a chapter by chapter commentary over the entire book. The reason that it takes 6 chapters to discuss 5 books is because Wenham spends 2 chapters on Genesis (dividing his discussion between Genesis 1-11 and then 12-50). Like the “Encountering Biblical Studies” (EBS), each chapter of “Exploring the Old Testament” includes maps, charts and tables. This volume on the Pentateuch, however, unlike EBS, does not include photos, which I believe is a wise choice. As noted in my review of “Encountering the Book of Genesis” (see link above), the reproduction of black and white photos tends to come out very poorly. When Wenham has felt the need to reproduce a particular image, it has been drawn rather than photographically reproduced. All of the drawings, maps, charts, etc., have been done by Wenham’s son Christopher, who has done an admirable job. I found the charts to be particularly helpful. Wenham frequently includes charts to show parallels or demonstrate differences in the text. Wenham also includes text boxes. Some of these highlight special issues such as “Egypt in the Joseph Story,” in the Book of Genesis (p. 53), or “Further Reflection on the Census Results,” in the Book of Numbers (p. 106). Many of the boxes are labeled “Digging Deeper.” Wenham explains these boxes to the reader by stating, “I want you to get out of the tourist bus and explore the terrain for yourself before you move on to the next issue” (p. xiv). These boxes are designed to present thought provoking questions and assignments that allow readers to do some “digging” for themselves. Here are a few sample topics: “Ancient Marriage Customs” (p. 48), “Making Sense of Sacrifice” (p. 86), “The Chosen Place of Worship in Deuteronomy” (p. 134), and “Claims of Mosaic Authorship” (p. 160). The final chapters of Exploring the Old Testament Vol. 1: The Pentateuch (chaps. 8-10, not counting the “Epilogue”), include 3 important areas of discussion. Chapter 8 looks at the “Theme of the Pentateuch.” This chapter is a wonderful example of how this series seeks to present the Big Picture. Wenham approaches the theme of the Pentateuch with a brief historical survey of what recent scholarship thinks. This not only gives the reader ideas on the main theme, it also introduces him or her to modern scholars and their thoughts on the Pentateuch (By the way, every chapter ends with a select bibliography for further reading and study). Wenham evaluates the various positions presented and then concludes with his own view of the theme of the Pentateuch. His conclusion is: “The theme of the Pentateuch is the fulfilment of the promises to the patriarchs, which are a reaffirmation of God’s original intentions for the human race, through God’s mercy and the collaboration of Moses” (p. 157). Exploring the Old Testament is available in both hardback and softcover editions. In chapter 9, Wenham deals with the “Composition of the Pentateuch.” Some readers may be tempted to skip this section because it deals with the history of how scholars think the Pentateuch came into existence. I was tempted to skim it very quickly, not because I find this subject uninteresting, but because I have read many other summaries on this topic. However, I found Wenham’s treatment to be the best survey on this subject that I have ever read. He seeks to present each position clearly and fairly, allowing the reader to judge and evaluate the various theories and approaches. 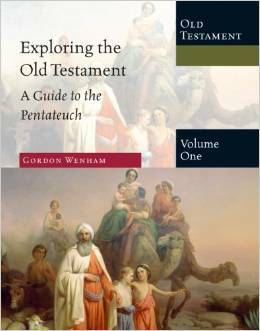 As in the previous chapter, Wenham also shares some of his thoughts on the production of the Pentateuch. Chapter 10 entitled, “The Rhetoric of the Pentateuch,” is closely connected to chapter 9. Here the focus is not on how the Pentateuch came to be, but when. Based on the theories from the previous chapter, Wenham walks the reader through the various historical periods of Israel’s history asking the question “What would the original readers have learned if the Pentateuch had been written in this particular historical period?” The periods include the time of Joshua, the united monarchy (David and Solomon), the time of Josiah (7th century B.C. ), and the post-exilic period (5th century B.C.). Wenham states the values of each historical situation and allows readers an opportunity to decide for themselves. Although Wenham doesn’t seek to prejudice the reader by naming a particular historical period that he thinks the Pentateuch was completed by, it seems (by reading between the lines, and being familiar with his commentary on Genesis! ), that he would opt for an earlier period rather than a later one. This volume concludes with an Epilogue, a short glossary of terms, and a subject index. As noted at the outset, Wenham has done a masterful job of packing a lot of information into a thin volume. This is an excellent text for anyone seeking to gain basic knowledge about the first 5 books of the Bible. Given the purpose, I cannot note any particular weakness. I would only say that if someone was looking for a little more indepth treatment of a particular book (such as Genesis), the EBS series, or the “Teach the Text” series would be better (although there is no Genesis commentary in the “Teach the Text” series yet). But if the Big Picture is what you’re after (and in my opinion getting the Big Picture is the best way to begin), then you can’t go wrong with this volume. As a teacher, it is exciting to see publishing companies coming out with excellent introductory series for the beginning Bible student. All 3 series mentioned in this article (EBS, Teach the Text, and the Exploring series) are well worth the investment of the student’s time and money. 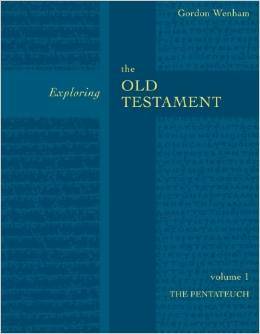 In conclusion, I highly recommend Exploring the Old Testament Volume 1: The Pentateuch.